Ingeborg has been working as a psychologist for over 30 years. She focuses on the ambitions, dreams, successes and the inevitable failures of people. With letting go of limiting beliefs that prevent lifegoals from blossoming. And by creating trust in oneself and in other people. She has extensive experience with groups and teams. 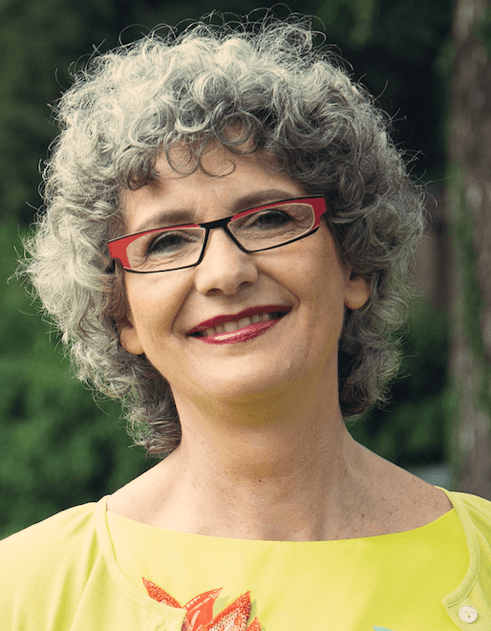 Ingeborg is convinced that cohesion, connection and a high Love Quotient (LQ) can get the best out of every person and every team. ‘Triple S’ is the road to the desired results: to feel trusted and free (Safe), to feel respected and appreciated (Seen) and to be allowed to ask for help and to feel supported physically, mentally and emotionally in order to develop personally and professionally (Supported). Robert and Ingeborg are professional and private partners. Next to their individual activities, they are often asked to work together, because both their expertise’s create a strong synergy: the professional speakers- and business experience of Robert and the solid psychological background about how people function optimally of Ingeborg. Both of them approach their clients with great respect, empathy, positivity, purposefulness and result-focus. They manage to touch people in an inviting way. And they offer proven and pragmatic tools to make a major difference for their teams, clients, their organization and last but not least for themselves. Always in fully tailor-made sessions after extensive briefings. Besides their activities in the business world Robert and Ingeborg also work together in their company ‘CouplePower’. Here the focus lies on the personal relationship with the partner at home as a solid base for a sound work-life balance. It is about feeling safe, seen and supported with each other, dealing constructively with conflicts and enjoying a vivid intimacy. Robert and Ingeborg offer workshops, webinars and individual consultation around these issues. Get your Free Vlogs and VitaMinders! Sign up for your Free Vlogs and VitaMinders!